By its very nature, the pinwheel connotes whimsy and childlike notions - it has come to serve as a reminder of the safe, stable, and nurturing childhoods we want for all children. It is the national symbol for child abuse prevention. Photos entered in the competition must promote the pinwheels in a positive manner and with positive messages and slogans (the pinwheels cannot be used to represent child abuse victims, cases, reports or fatalities). Learn more about contest incentives, guidelines and how to vote for your favorite photo below. 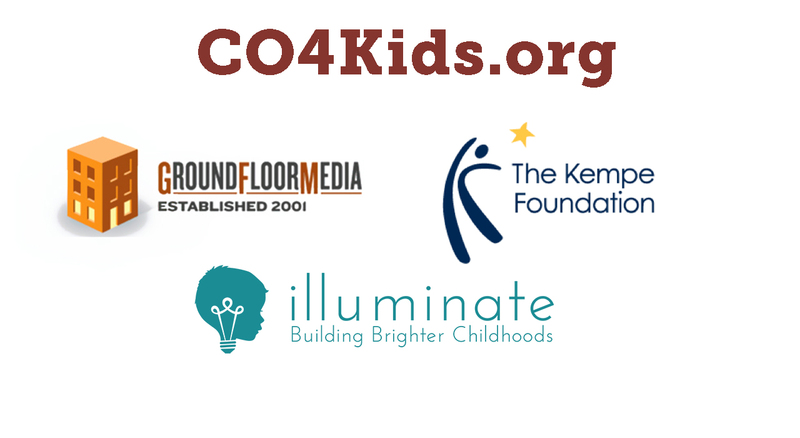 The #Pinwheels4Prevention contest is sponsored by CO4Kids, the Get Grounded Foundation, the Kempe Foundation and Illuminate Colorado. 50+ ways you can play a role in strengthening families. One of the most effective ways to prevent child abuse is to strengthen families. Below are 50+ ways for neighbors, community organizations, employers, people in the service industry and spiritual community to strengthen families.